Whether it’s an emergency spill cleanup or scheduled maintenance cleaning, Mole•Master’s fleet of portable and truck-mounted industrial vacuum service equipment is ready to respond with a wide range of vacuum loaders. 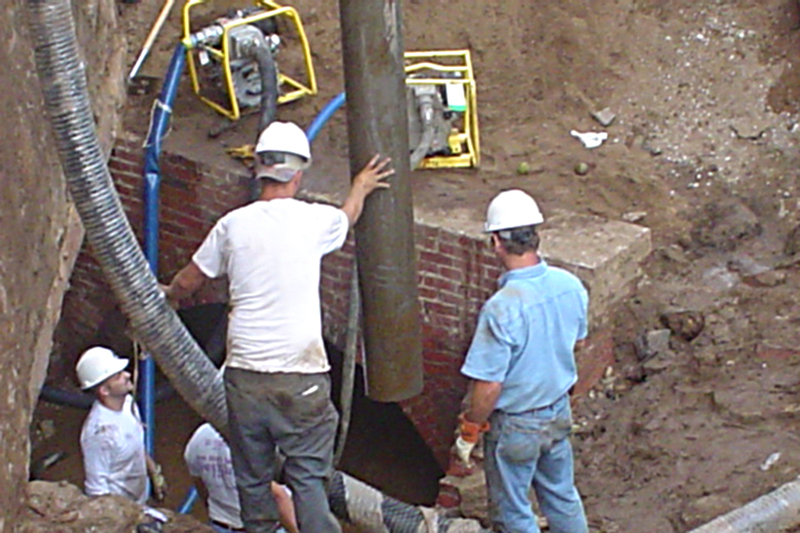 Virtually any wet or dry substance, including non-hazardous materials, can be remediated – safely and efficiently. 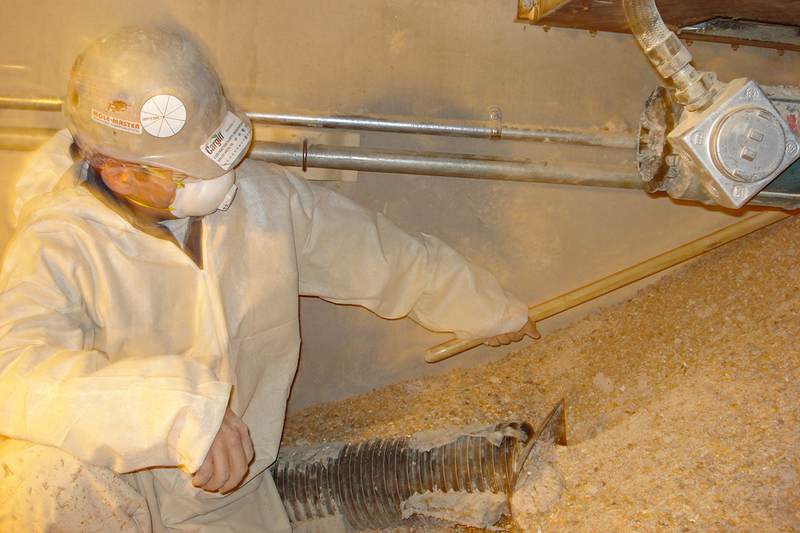 Mole•Master’s industrial vacuum services are the ideal addition for situations where the conveying system cannot be used to handle material dislodged during the silo cleaning process. This proves particularly beneficial for jobs in the Biofuels/Ethanol industry and Food Processing projects or any project where the in-place conveying system is not available. We use the UltraVac HVV-4915 and the T-475 and electric HiVac 250 for most of our industrial vacuum applications. Where grain or plastic pellets need to be removed we may use a DK Vacuum Transfer Unit. 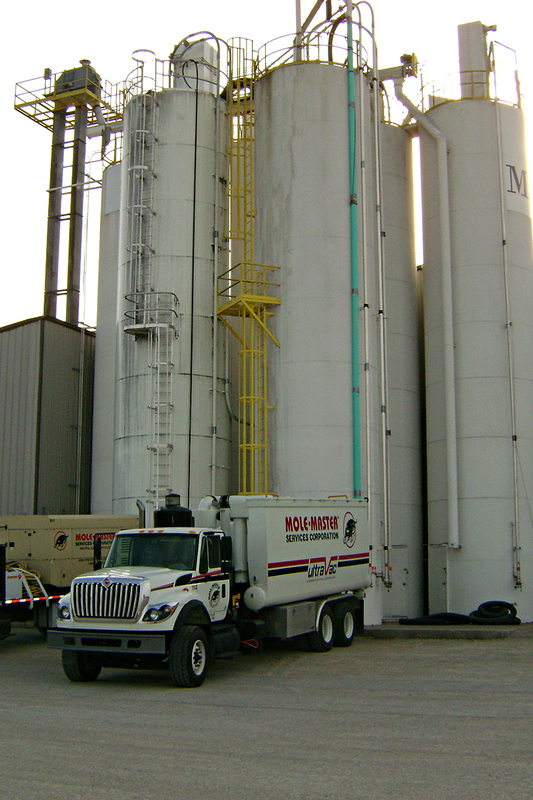 Visit our Silo & Bin Cleaning page to learn about our full, turnkey cleanout service for silos, bins, bunkers, process and transport vessels. Contact your Mole•Master industrial vacuum specialist now for the fast, efficient service you need.